Rev. 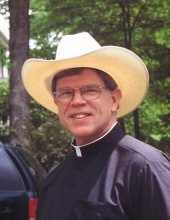 Bob McGee, Episcopal campus minister at Wake Forest, died in Winston-Salem August 30. Rev. McGee, known to many on campus as Father Bob, served the University community for more than 30 years. A celebration of the life of Rev. McGee will be held at 2 p.m. Saturday, Sept. 6, in Wait Chapel. More information about the Sept. 6 service is available in an obituary published in the Winston-Salem Journal and on the Hayworth-Miller website.